Deadlines, Refunds, and Tax Filings, Oh My! 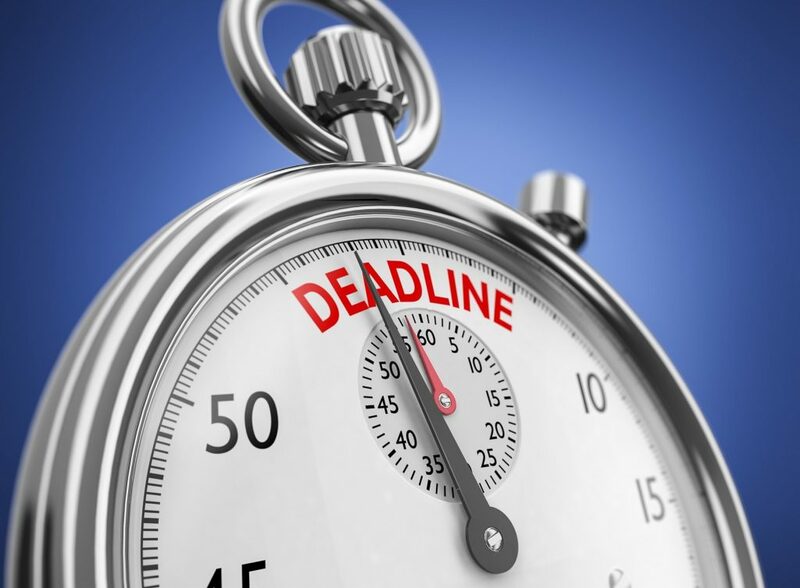 With only a few days remaining in the tax season, the pressure of filing can definitely make you say, “Deadlines, refunds, and tax filings, oh my!” If you have been too busy to send out your forms, don’t panic. You can still send them now to avoid paying the expensive late fees. The Internal Revenue Service (IRS) announced early this year that American taxpayers can start filing their federal income taxes on January 28, 2019. This gave them ample time to prepare their documents, decide what type of deductions they would seek this year—either the standard deduction or itemized deductions—and calculate their tax bills. According to the IRS, fewer errors are made when a taxpayer files their income tax return online. Doing so will also benefit the taxpayer since the processing time for refunds will be much faster than when filing in paper form. With the implementation of the new tax code, there may be some changes in the deductions and credits. This may have a positive or negative effect on you depending on where you are in the tax bracket. To know more about the changes, you can review the Tax Cuts and Job Acts. 3. Will There Still Be Delays in the Payment of Refunds? Due to the U.S. federal government shutdown from December 22, 2018 until January 25, 2019, countless taxpayers were left wondering whether or not they would still be able to get their refunds on time. Fortunately for this season, the IRS has stated that the issuance of the refunds will go back to the normal schedule. The deadline for the filing of taxes will be on April 15, 2019. This is also the last day for taxpayers to claim their 2015 tax refund. While April 15, 2019, is the deadline in other states, Maine and Massachusetts taxpayers can file their taxes until April 17, 2019, because of the holidays in their respective areas. E-filings and extensions will only be processed until October 15, 2019. ITINs issued before the year 2013 with the middle digits 73, 75, 76, 77, 81, or 82 should be renewed. You can accomplish this by filling out the form W-7. Expired IITNs with middle numbers 70, 71, 72, 78, 79 or 80—which expired in 2016 or 2017—may also be renewed. Reviewing the tax filing process can make the tax season smooth sailing for you. It pays to do your research and to learn about the changes so that you may be able to make adjustments before the deadline comes. Fight Breast Cancer and Get a Tax Break! The new tax code still recognizes and appreciates the kindness of people who give charitable donations. For instance, if you donate a vehicle to us at Breast Cancer Car Donations, you’ll entitle yourself to receive a maximum tax deduction in the next tax season. Moreover, your charitable donation will also have a lasting effect on your community as a whole. When you donate, you get to impact many lives. Breast Cancer Car Donations accepts any type of vehicle donations on behalf of our charity partners. These IRS-certified 501(c)3 nonprofit organizations work tirelessly to provide comprehensive breast health services to every community across the country. These services focus on breast cancer prevention, early detection, treatment, and research so that those whose lives are touched by it may have the chance to live longer. Your unwanted clunker can help us generate the funds that are needed to sustain these services. Donate and Save Lives of Breast Cancer Victims! Being diagnosed with breast cancer can be extremely devastating. Did you know that one out of eight women in the United States will develop breast cancer within the course of her lifetime? Furthermore, in 2019 alone, a total of 331,530 new cases of invasive and non-invasive breast cancer are expected to be diagnosed in American women. Knowing these numbers makes us wonder how we can manage to bring them down. One way to bring these numbers down is by making a donation to us at Breast Cancer Car Donations. You’ve got nothing to lose except a vehicle that you no longer want or need! For more information on our vehicle donation program, check out our FAQs page. For inquiries, you may call us at 866-540-5069 or send us a message online. You can make your donation by filling out our secure online donation form or calling us directly. We accept almost all types of vehicles regardless of their age and condition. We also accept vehicle donations anywhere in the United States since we have car donation programs in all 50 states. Donate now and experience the amazing feeling of being able to help save the lives of women afflicted with breast cancer!